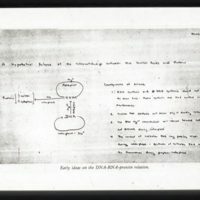 35mm slide reproductions of documents that were used in The Double Helix, including a letter written from Watson to Max Delbruck. 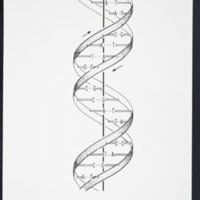 Photographic prints of the various figures and diagrams used in The Double Helix. 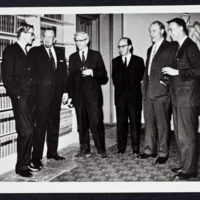 Photographic print of 1962 Nobel Prize recipients Maurice Wilkins, John Steinbeck, John Kendrew, Max Perutz, Francis Crick, and Watson. 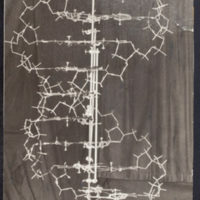 Photographic prints of Watson and Crick at the Cavendish laboratory posing with the double helix model shortly after their discovery was announced. 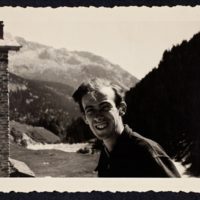 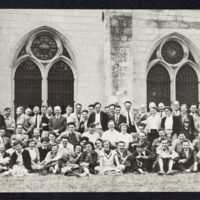 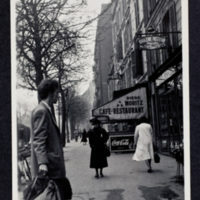 All photographs by A.C. Barrington Brown of Cambridge. 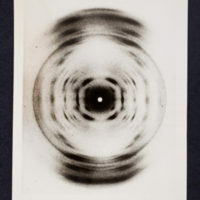 Photographed by Hugh Huxley. 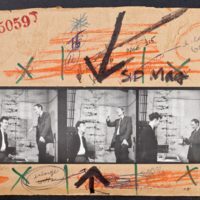 Includes annotation by Watson on the verso. 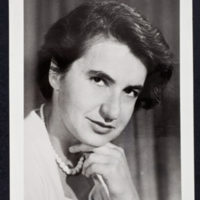 Portrait of Rosalind Franklin used in The Double Helix.